All photos are 1200 x 800px-900px color JPEG. 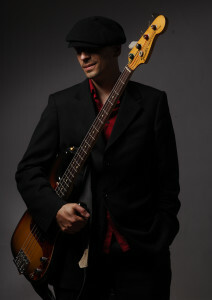 Grammy award winning bassist Phil Palombi is “one of the most sought after bass players”, according to Steely Dan tenor saxophonist Walt Weiskopf. Author of the Scott LaFaro transcription book, Palombi is moving through the ranks of the New York Jazz elite. His resume now includes recordings and/or performances with Michael Brecker, Randy Brecker, Billy Hart, Billy Kilson, Joe Lovano, Dave Liebman, Etta Jones, Maynard Ferguson, Chris Potter, Curtis Stigers, Toshiko Akiyoshi, Chucho Valdes, Mark Turner, and The Village Vanguard Orchestra to name a few. Pianist Matthew Fries is making waves in the jazz world as both a soloist and accompanist. 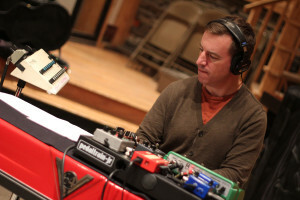 The winner of the Great American Jazz Piano Competition, his debut album, Song for Today (TCB Music) was named a 2001 critics pick by Jazziz Magazine, and his recent work with his collaborative trio, TRI-FI, “takes on the Jazz Trio challenge and delivers a ‘knock out’ punch” (Jazz Review). As a sideman his work has been described as “the best jazz accompaniment I’ve seen in a cabaret in years” (The New York Times), and “the crispest rhythm section imaginable” (The London Times). Matthew plays the Vintage Vibe electric piano. Eric has perfomed throughout Europe and the Americas with artists of many genres, including Dave Liebman, James Moody, Dave Stryker, Joe Locke, Ben E. King and Pinetop Perkins. He has appeared in festivals such as the Montreal Jazz Festival, Norwich Music Festival (UK), Cork Jazz Festival (Ireland), Silda Jazz Festival (Norway), Radio Classica (Chile), Bayreuther Jazz Festival (Germany) and the Iowa City Jazz Festival. 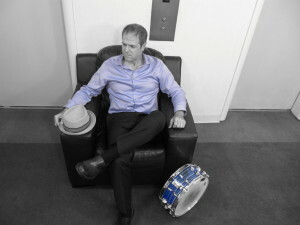 Locally, this Brooklynite’s intense and dynamic drumming can be heard at some of NYC’s top venues including Lincoln Center, Town Hall, Iridium, Blue Note, Smoke and Birdland and on many recordings. A quick shout out to companies that we love! Eric is proud to play Paiste Cymbals, Phil is in love with his Fleet Guitars electric basses, as well as his vast collection of excellent Analysis-Plus cables, and Matthew would like to thank FlowBee for their outstanding hair products!